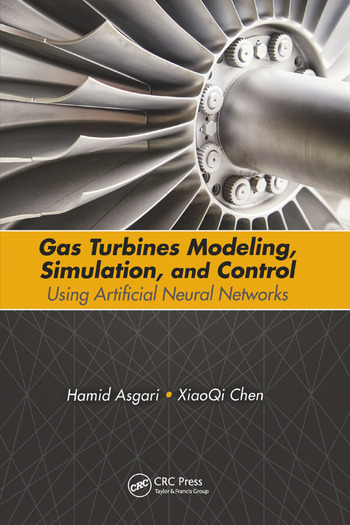 Gas Turbines Modeling, Simulation, and Control: Using Artificial Neural Networks not only offers a comprehensive review of the state of the art of gas turbine modeling and intelligent techniques, but also demonstrates how artificial intelligence can be used to solve complicated industrial problems, specifically in the area of GTs. Hamid Asgari received his Ph.D in mechanical engineering from the University of Canterbury, Christchurch, New Zealand in 2014. He obtained his ME in aerospace engineering from Tarbiat Modares University, Tehran, Iran, and his BE in mechanical engineering from Iran University of Science and Technology, Tehran. He has worked more than 15 years in his professional field as a lead mechanical engineer and project coordinator in highly prestigious industrial companies. During his professional experience, he has been a key member of engineering teams in design, research and development, and maintenance planning departments. He has invaluable theoretical and hands-on experience in technical support, design, and maintenance of a variety of mechanical equipment and rotating machinery, such as gas turbines, pumps, and compressors, in large-scale projects in power plants and in the oil and gas industry. XiaoQi Chen is a professor in the Department of Mechanical Engineering at the University of Canterbury, Christchurch, New Zealand. After obtaining his BE in 1984 from South China University of Technology, Guangzhou, he received the China-UK Technical Co-Operation Award for his MS study in the Department of Materials Technology at Brunel University, London, UK (1985–1986) and his Ph.D study in the Department of Electrical Engineering and Electronics at the University of Liverpool, UK (1986–1989). He has been a senior scientist at the Singapore Institute of Manufacturing Technology (1992–2006) and a recipient of the Singapore National Technology Award (1999). His research interests include mechatronic systems, mobile robotics, assistive devices, and manufacturing automation. He has been elected to Fellow of IPENZ and Fellow of SME. "… specifically deals with modeling gas turbine behavior under unsteady conditions. This topic is rarely addressed in detail in current technical literature. The selected approach covers both physics-based and black-box models. The approaches are compared and the respective strong/weak points are highlighted. The book is written under a user perspective and provides several examples of applications of the proposed methodologies." "… offers a mechatronics approach for gas turbines through a complete cycle of modeling, simulation/analysis, and control designs. This book is helpful for mechatronics engineers and graduate researchers." "… very helpful for students in areas such as mechanics, mechatronics, control, and automation. … a very good book."